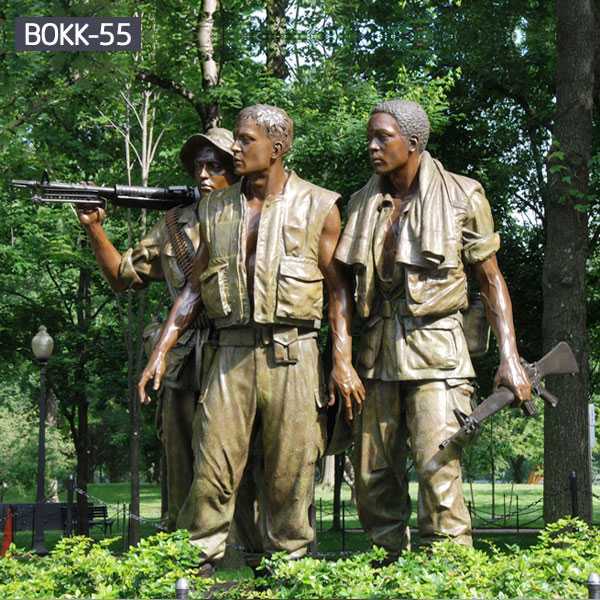 Three soldiers (also known as the Armed Forces) are bronze statues commemorating the Vietnam War at the National Mall in Washington, D.C. It was created and designed to complement the Vietnam War Veterans Monument, adding a more traditional component to the memorial. Three soldiers were inaugurated on November 11, 1984 Veterans Day. Designed by Frederick Hart, he ranked third in the original commemorative design competition. 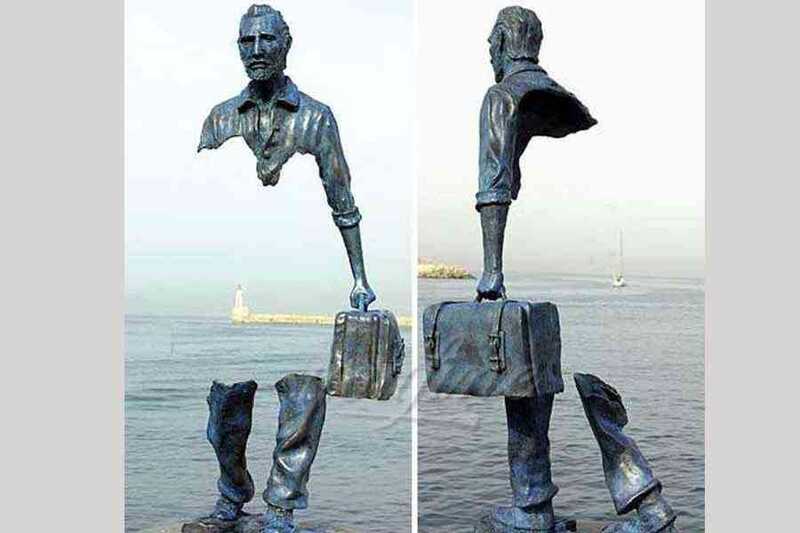 It aims to supplement the Vietnam War Veterans Monument by adding a more traditional component, such as depicting the Warriors of war in the statue. 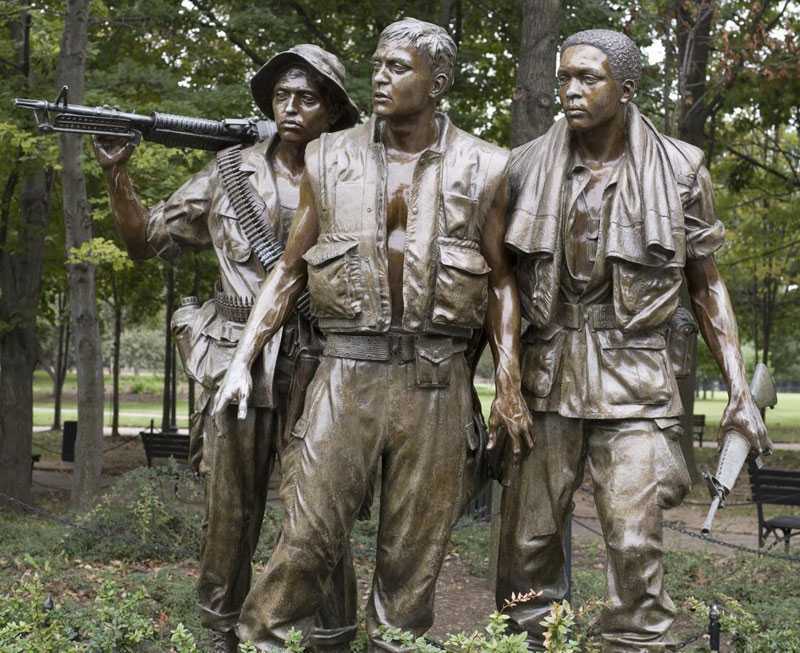 The statue’s three men were deliberately identified as European-American (leader), African-American (right-wing men) and Hispanic (men on the left) in an effort to portray the main ethnic group represented in the United States Corps of Fighters serving in Viet Nam. The three figures are based on six real young people, of whom two (Caucasian Americans and African Americans) were appointed as active Marines at the time. The Caucasian figure was modelled on James Connel (James E. connell,iii), then the Marine Corps corporal. 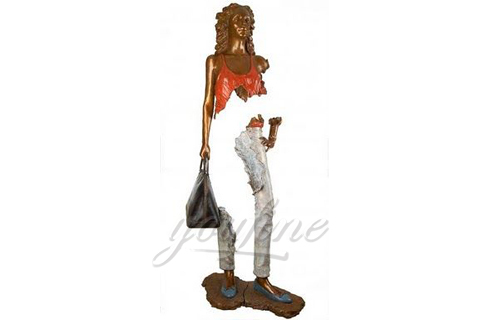 The African-American imitation mimics the three men, the Marines Terrance Green,rodney Sherrill and Scotty Dillingham; the Hispanic character mimics Guillermo Smith De Perez DeLeon. 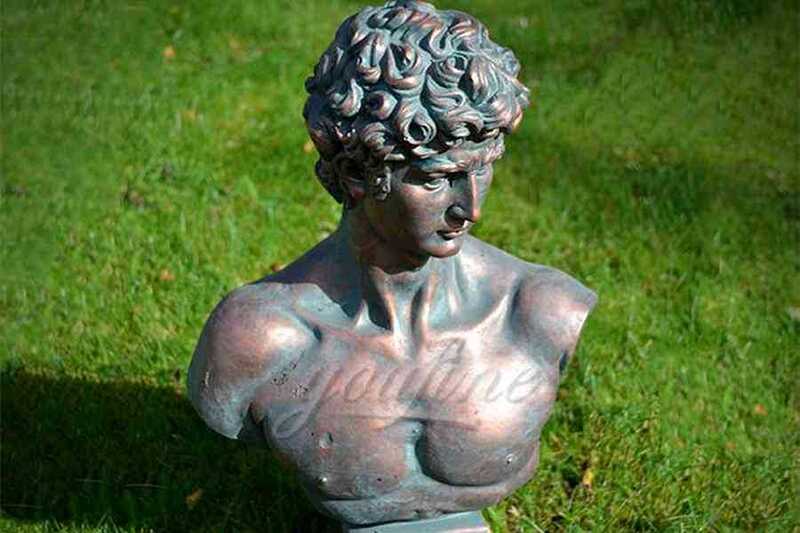 If you have the idea or want to custom made some statue of military for memorial,please contact with us,focusing on bronze casting since 1983,is your reliable supplier of bronze sculpture !